Join Girl Scouts to meet new friends, learn new skills, and have fun! Come to Community Troop at the Muscatine YMCA. 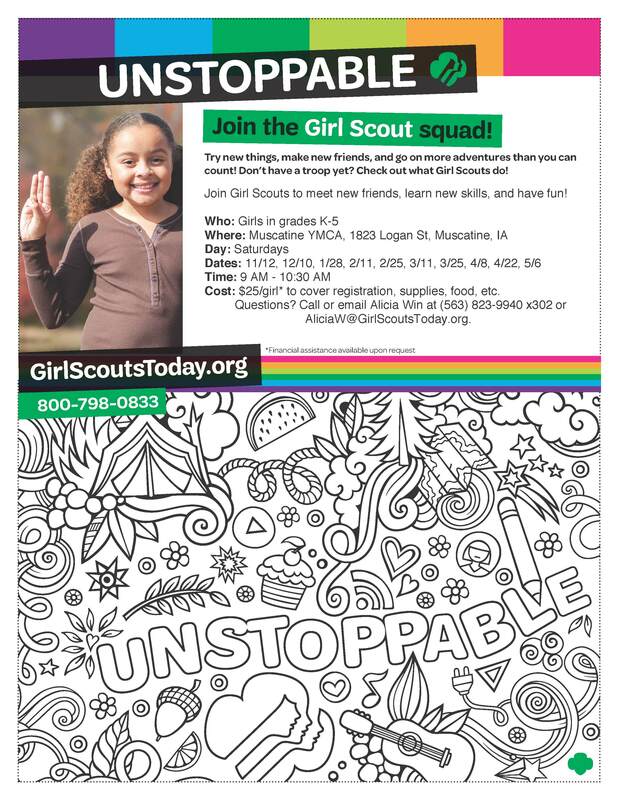 Call or email Alicia Win with any questions at 563-823-9940 x302 or AliciaW@GirlScoutsToday.org.